Population, cars and motorbikes have increased at higher than expected rates in Ho Chi Minh City, leading to increased congestion and strain on existing transportation infrastructure. While the city has a transportation infrastructure plan, it lacks adequate funds and is reliant on official development assistance (ODA) and foreign direct investment (FDI) to finance it. Amidst the backdrop of an opaque regulatory environment and intense competition among global ODA institutions, city officials speculate on multiple and contradictory transportation projects simultaneously. 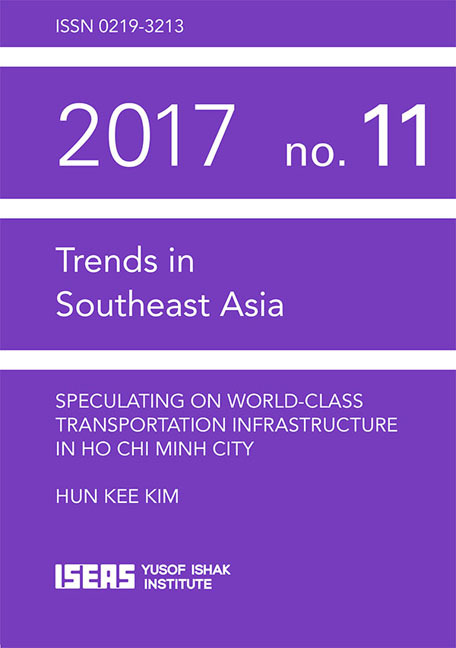 Conflicting interests between Bus Rapid Transit and Metro projects in Hanoi and Ho Chi Minh City exemplify the state's speculative forms of governance in capturing transnational flows of ODA capital to finance infrastructure and call into question dominant framings of infrastructure as rational processes and technologies that work against the so-called irrational and unplanned structure of the city. • Population, cars and motorbikes have increased at higher than expected rates in Ho Chi Minh City, leading to increased congestion and strain on existing transportation infrastructure. • While the city has a transportation infrastructure plan, it lacks adequate funds and is reliant on official development assistance (ODA) and foreign direct investment (FDI) to finance it. • Amidst the backdrop of an opaque regulatory environment and intense competition among global ODA institutions, city officials speculate on multiple and contradictory transportation projects simultaneously. • Conflicting interests between Bus Rapid Transit and Metro projects in Hanoi and Ho Chi Minh City exemplify the state's speculative forms of governance in capturing transnational flows of ODA capital to finance infrastructure and call into question dominant framings of infrastructure as rational processes and technologies that work against the so-called irrational and unplanned structure of the city. Ho Chi Minh City (HCMC) has seen its population and the number of vehicles on its roads rapidly increase over the last ten years. Today, there are close to 8 million motorbikes in the city, and over half a million cars. Recently, the Chairman of the Ho Chi Minh City People's Committee, Nguyen Thanh Phong attributed rising congestion problems to larger-than-expected population growth. Estimates that had put HCMC at 10 million inhabitants by 2025 have already been vastly exceeded, and Nguyen announced that the city is already home to roughly 13 million inhabitants. The number of motorbikes on the roads is now at 7.6 million, alongside over 700,000 cars. Recent data show that over 1,000 new motorbikes are added into traffic each day. Forest City, the multimillion dollar mixed development project rising out of four artificial islands in the Tebrau Straits off the southwestern coast of Johor appears by most accounts to be a bundle of contradictions. While potentially injecting millions of ringgit into, and spurring great infrastructural development in the surrounding areas, it has jarred the local property market. New foreign exchange regulations in China add further questions to its financial viability. While Forest City is portrayed as a role model for future cities, especially in its application of green technology and environmental sustainability, the land reclamation that underpins its existence is doing serious damage to local seagrass, mangroves and fishery habitats. Claims that the project has the potential to create thousands of jobs for the local population have been countered by those who question the wisdom of allowing such a huge influx of foreigners, both as contract workers and as residents, as well as its implications for the racial status quo. To the general public, the saga of Forest City began in early 2014 when sand barges seemed to appear overnight to begin round-the-clock reclamation work without public notice or signage on the project. Those caught unawares included the Singapore government. It eventually lodged an official complaint with the Federal government, and Malaysia's Department of the Environment issued a stop-work order. The Detailed Environmental Impact Assessment (DEIA) process revealed that some local regulations had been sidestepped. While most local leaders had already known about the project in 2013, the information and RM3 million in compensation from the developer had not yet been passed on to the affected villages. Controversy continues to surround the project till this day and the development swings between being the victim of political positioning for the upcoming elections and the bogeyman of choice for the media and local community; obliterating all mention of other developers and developments in the area which could have as much environmental, economic and social impacts as Forest City. In contrast to the typical tale in developed nations of project instigation, endorsement and financial support, Forest City was envisioned by a Malaysian person of prominence and modelled on the success of Shenzhen and its evolution from Hong Kong backwater to thriving metropolis. That a Chinese developer became the main actor in the project is a nod to China's re-emergence as a global player and to its strategic interests in Southeast Asia. • The Forest City project in Johor, Malaysia is part of a larger plan to elevate Johor to development success, similar to Shenzhen's evolution from Hong Kong's backwaters to being a modern metropolis. • However the project was embroiled in controversy from the beginning. The mixed development was meant to create sustainable homes, recreational areas, schools and business infrastructure that would house about 700,000 people, generate annual revenues of about RM30 million for the state, and create more than 60,000 jobs, including a substantial number for locals through a quota. • Sudden capital controls imposed by China on its citizens in early 2017 put a spanner in the works. Middle-class Chinese struggling to afford homes in China's big cities were Forest City's prime clientele and the new regulations preventing the transfer of funds for property purchase and the use of credit cards for investment transactions have brought future sales and the completion of signed commitments into question. • Forest City will now have to focus on other markets in order to meet its sales targets. While the project has its merits, the economic benefits might be overstated as a number of socio-economic and environmental impacts have not been fully taken into account. The Forest City project in Johor, Malaysia is part of a larger plan to elevate Johor to development success, similar to Shenzhen's evolution from Hong Kong's backwaters to being a modern metropolis. However the project was embroiled in controversy from the beginning. The mixed development was meant to create sustainable homes, recreational areas, schools and business infrastructure that would house about 700,000 people, generate annual revenues of about RM30 million for the state, and create more than 60,000 jobs, including a substantial number for locals through a quota. Sudden capital controls imposed by China on its citizens in early 2017 put a spanner in the works. Middle-class Chinese struggling to afford homes in China's big cities were Forest City's prime clientele and the new regulations preventing the transfer of funds for property purchase and the use of credit cards for investment transactions have brought future sales and the completion of signed commitments into question. Forest City will now have to focus on other markets in order to meet its sales targets. While the project has its merits, the economic benefits might be overstated as a number of socio-economic and environmental impacts have not been fully taken into account. Untreated sewage is one of the main causes for deteriorating water bodies in urban areas of Southeast Asia, and is leading to a complete neglect of these once beautiful environments and undermining the engines of development and growth in one of the most dynamic regions of the globe. Due to climate change, increasing demand for water as a result of urbanization, and other demographic and economic trends, the available per capita water in a given watershed area is rapidly dropping in many parts of the world, including Southeast Asia. At the same time, the production of waste water in total and per capita is significantly increasing. This problem will become even more acute if the supply of safe drinking water to households and its consumption continue to increase at the current pace. An increase in water supply will result in an increase in sewage, which, without proper treatment, will end up untreated in the nearest water body or aquifer. By now the natural self-purification processes in water bodies have been exhausted and the receiving waters have partly become open sewers. The goal for many cities and towns is to stop the discharge of untreated sewage into water bodies by treating the sewage at the source at the household and neighbourhood level. Returning a water body to its former pristine or more semi-natural state is a challenging undertaking. There is still hope, as water fronts at large and impressive rivers have become major attractions in many cities (for example, Singapore, Phnom Penh) and are now a focus of upscale development. Smaller urban water courses are, however, severely neglected. These water bodies once provided opportunities for cultivation and fishery, recreation, open space, and areas for water storage during flood seasons, but also served as effective drainage system during heavy downpours. River training works started early and can be dated back to at least two thousand years ago. Many rivers became harnessed on a large scale during the late nineteenth and twentieth centuries. More and more small to medium-sized watercourses were trained as cities expanded. This trend is still ongoing today. Excessive river training and the discharge of liquid and solid wastes into rivers have led to a significant deterioration of many water bodies, and are affecting most urban streams. It is not easy to identify challenges common to the cities and towns of Southeast Asia as the region is diverse in demographic, economic and sociocultural terms. All Southeast Asian countries strive for better standards of living and sustainable livelihoods, but the urban scenarios across the region require different prescriptions for their development goals. However, ASEAN member states are also moving towards regional and economic integration by improving connectivity between existing and potential centres of economic activity. This will have immense repercussions for urbanization and urban development in the member states. • Discuss and recommend options on how regional cooperation could assist national and sub regional efforts in addressing urbanization issues. The workshop discussions helped to identify urbanization issues that ASEAN member states could address at national and regional levels. The recommendations that resulted from the discussions were submitted in the form of a preliminary report to relevant ASEAN ministerial and senior officials meetings and the ASEAN Summit. These recommendations now appear in this book together with papers presented and discussed at the regional workshops. The authors contributing to this book have tried to go beyond an analysis of a particular set of urban challenges within one city or one country, and instead have drawn conclusions and lessons for all the countries of the region. In the opening chapter, Yap Kioe Sheng provides an overview of the urban challenges that Southeast Asian countries face. He summarizes the key challenge as “to promote urban economic growth, while reducing urban (and rural) poverty and protecting the local, national, regional and global environment”. Another challenge he identifies is enabling a more effective and efficient delivery of urban services through decentralization and privatization, when many local governments lack the capacity (and willingness) to use measures for the benefit of the city as a whole. Capacity development and good governance are critical to making urban areas productive, inclusive, and sustainable. The Centre for Liveable Cities and the ASEAN Studies Centre initiated a series of three regional workshops in December 2009 that brought together experts, academics, and practitioners from Southeast Asian countries to discuss urbanization issues in the region, particularly the challenges and prospects for regional collaboration on this matter. The regional workshops would not have been possible without the keen interest and enthusiasm of Andrew Tan, who headed the Centre for Liveable Cities at the time, and who first mooted the idea of convening the workshop series to find a pathway towards closer collaboration in the region's actions and responses on this issue. Through the workshops, we attempted to identify priority issues that Southeast Asia — and ASEAN member states — need to tackle to ensure that urbanization occurs as an integral part of regional efforts to realize the open, dynamic and resilient ASEAN Community envisioned by leaders of ASEAN. When the workshops concluded in July 2010, ASEAN's efforts for greater connectivity among and within its member states provided an additional impetus for our suggestions to facilitate closer partnerships among ASEAN member states to address urbanization concerns that would inevitably arise from greater regional connectivity. The workshop recommendations, which were brought to the attention of high- and working-level ASEAN meetings, support the larger strategic objectives of ASEAN community building. Papers presented at the workshop have been developed into thoughtful contributions to help policymakers understand what we as a region face in addressing challenges associated with rapid urbanization, and also identify, for ASEAN as a collective, opportunities to overcome these challenges and enhance the region's prospects. The ASEAN Studies Centre hopes that this publication will be the catalyst for similar exercises that assist responses to urbanization concerns at the regional and national levels in ASEAN. At the very least, the workshops have created a space for discussion and debate on what countries face in addressing urbanization in their local context. Information sharing will help further identify and clarify concerns that merit closer attention. By Anna Maria M. Gonzales, Ayala Land Inc. The steady urbanization of Southeast Asian nations is generally viewed as a positive development in the economic history of the region. Cities are recognized as epicentres of economic growth and contribute significantly to national incomes. Because of their ability to earn more in absolute terms, urban populations are generally perceived to be better off than their rural counterparts. All over Asia, poverty incidence is still much higher in rural areas than in urban areas. National governments will therefore tend to address rural poverty in national policy and plans, given resource limitations. It is often said that although poverty seems more visible and geographically concentrated in cities, the poor who choose to stay in urban areas are much better off than their rural counterparts. Despite having very low cash incomes, the poor in urban areas are expected to have, at the very least, more access to social services in the cities. Because poverty has often been associated with rural areas in Southeast Asia, urban poverty issues have largely been relegated to the background in the regional policy discourse. Regional level efforts that deal with economic development as a means to address poverty often focus on investments in infrastructure and agricultural productivity in rural areas. Urban development is then largely left to market forces or private sector decisions. Moreover, rural poverty is seen as more urgent and compelling and therefore more resources and time are poured into addressing it. However, with the rise of urban populations and, with it, an increase of urban poverty incidence, addressing urban poverty issues alongside rural poverty issues may no longer be delayed. An estimated 41.8 per cent of Southeast Asia's total population or, almost 245 million people, live in urban areas. In 1950 the urban population represented only 15.4 per cent of the total population. By 2025, the urban population of the region is expected to increase to 49.7 per cent of the total population (Yap 2010). The rise of urban populations is expected to put pressure on the existing infrastructure and social services in cities. The informality of infrastructure and services provision in cities, as evidenced by informal settlements in rapidly expanding urban centres, is a concern of national governments. Civil society organizations and community-based non-government organizations regard informal settlements as solutions rather than problems. Two major global processes dominating the twenty-first century are expanding urbanization and climate change. These combined events are likely to have colossal impacts on human activities globally and in Southeast Asia. Rapid urbanization has made cities the norm of human living worldwide. Globally the world's urban population lives in 408 cities of over one million people and twenty megacities of over ten million people; of the 408 cities, 377 cities are in the developing world, and Asia has 67 per cent (377 cities) of the global total (Flavin 2007, p. xxiii). Despite the fact that cities cover less than 1 per cent of the world's surface area, they accommodate over 50 per cent of the world's population, use 75 per cent of the world's energy, account for 78 per cent of carbon emissions, and are responsible for 75 per cent of greenhouse gases (Brown 2001, p. 188; World Wide Fund for Nature (WWF) 2009, p. 8). There is a plethora of literature on global climate change which does not need repeating here (Flannery 2006; Dawson and Spannagle 2009; Touffut 2009; Posner and Weisbach 2010). Another endorsement of climate change is the recent idea of “planetary boundaries”, which are meant to define “the safe operating space for humanity with respect to the Earth system and are associated with the planet's biophysical subsystems or processes” (Rockström et al. 2009, p. 472). Based on nine Earth-system processes (climate change, rate of biodiversity loss — terrestrial and marine — interference with the nitrogen and phosphorous cycles, stratospheric ozone depletion, ocean acidification, global freshwater use, change in land use, chemical pollution, and atmospheric aerosol loading), this study found that three of the nine Earth-system processes, namely climate change, rate of biodiversity loss, and interference with the nitrogen cycles, “have already transgressed their boundaries” (Rockström et al. 2009, p. 473). Given these twin issues, this chapter aims to assess the adaptive and mitigation challenges Southeast Asian cities face with respect to climate change. Specifically, the chapter explores the urban policy options regionally and nationally. This chapter aims to identify key challenges in engaging local governments in the Southeast Asian region in the promotion of sustainable urban development. The engagement with local governments is considered imperative in the context of various macro-level transformations that are currently going on in the region, namely rapid economic growth, urbanization, democratization, and decentralization. These transformations have generally thrust local governments and local communities into prominence in ensuring that rapid urban development in the region is more sustainable, or otherwise allowing the formation of harmful towns, cities, and urban settlements through neglect or lack of capacity. Therefore, it is crucial that local governments and communities have the necessary awareness and knowledge of the various aspects of sustainable urban development, as well as the needed skills and capacities to make it happen. There are at least two different ways that local governments can take to come to that point or, at least, to start embarking on a path that will lead to sustainable urban development. One is when local governments or communities become serious in making their cities sustainable without being deliberately and significantly engaged by external parties. There are documented good practices where local leaders and communities became the major driving force for the needed local innovations.1 However, in many other cases, external parties are needed to instigate and support the initiatives. These can be in the forms of urban-related national policies, international conventions, or donor-supported projects and programmes. In most cases though, a combination of both internal and external factors exist in the efforts to make urban development in Southeast Asia more sustainble. In addition to the two different ways, distinct political institutional settings from one country to another also engender different methods and approaches in such endeavours. This chapter elaborates on the various ways of engaging local governments in promoting sustainable urban development. In the past couple of decades, the Southeast Asian region has been undergoing various transformations, such as rapid economic growth that is naturally followed by urbanization, and democratization that is generally followed by decentralization of authorities to the local governments. There are certainly great variations among countries — and more starkly among cities — in the region with regard to the extent of these transformations. This chapter discusses how urban development in Southeast Asia has and is being shaped and affected by regional cooperation. The initial reaction of some may be bewilderment or a retort that regional cooperation in Southeast Asia has always been limited, and its impact on urban development is even more so. The chapter argues against both these perspectives and, in the first part, discusses how regional cooperation in the colonial era had profound and long-lasting impacts on the urban sector. The second part of the chapter argues that trade-facilitation-focused regional cooperation is today changing the urban landscape of Southeast Asia through the reduction of transaction costs, risks, and uncertainty. The chapter notes that while primate cities will still continue to grow, there will be significant activity among the secondary cities and smaller towns of the region. The final part discusses the motive forces that will take the emerging urban landscape further, as well as the challenges faced. Policy-induced regional cooperation will change urban patterns, but further development depends on economic growth and the ability to take advantage of market forces. While all of Southeast Asia is considered, the focus is on mainland Southeast Asia, which includes Thailand as well as the newer members of ASEAN — Cambodia, Laos, Myanmar, and Vietnam — which are primarily thought of in terms of their ability to “catch up” with older members. The chapter argues that their reputation as laggards may become inappropriate in a very short time. The evolution of Southeast Asian urbanization has been depicted by Dutt and others as consisting of four phases: (i) indigenous urbanization, (ii) colonial urbanization, (iii) extended pre-industrial urbanization, and (iv) industrial city urbanization (Dutt 1994). The focus of many studies has been on colonial urbanization and, in particular, the location of major cities in coastal areas or at river mouths to support trading activities and, later, to facilitate the export of raw materials from the colonized countries. Urban development, therefore, took place within the context of a global economy which was effectively controlled by a few European countries and prominent business concerns within these countries. The story of urbanization gaining pace is a familiar one in many parts of the world. The Southeast Asian region is no different. In 1950, the rate of urbanization was only 15.4 per cent. The rate today stands at slightly over 40 per cent and is projected to increase to 49.7 per cent by 2025. 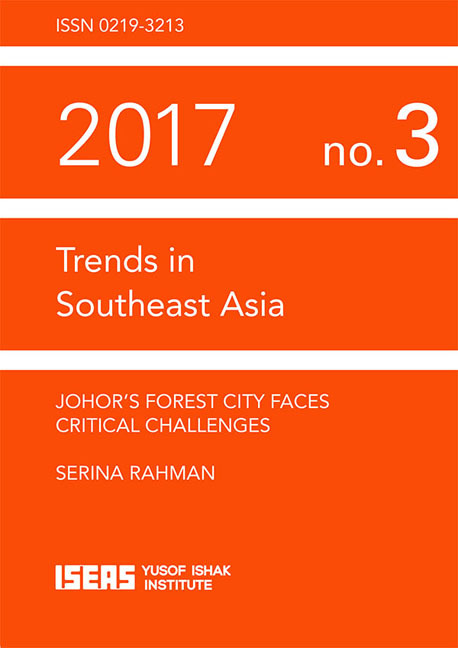 While the circumstances surrounding each city within Southeast Asia are unique, the challenges that cities can identify with and collectively address as a region are common. Overburdened cities struggle to supply essential urban infrastructure, services, and shelter to residents, but they have also lifted hundreds of millions out of poverty. Cities are now also more interconnected and share more anxieties — from financial crises and rising inequality to climate change. Governments need to find creative mechanisms to mobilize the private sector and civil society to generate economic growth and reduce poverty, improve productivity and living conditions, protect the environment, and adapt to climate change. Against this backdrop, liveability and sustainability have become central concerns for many urban leaders. At the Centre for Liveable Cities (CLC), we believe that good urban governance and integrated planning, demonstrated through sound policies and effective legal and institutional frameworks that mobilize human and financial resources, can result in a city being adaptable to changes in environmental, social, and economic systems over the long term. Over a series of three workshops, the CLC was most fortunate to have partnered the ASEAN Studies Centre (ASC) in bringing together experts in the region to gain a better understanding of urbanization trends in Southeast Asia. This included an Expert Panel Session at the World Cities Summit 2010 (WCS) in Singapore on 30 June 2010, which provided a platform for regional leaders to share and discuss experiences on the subject. In all, the workshops had allowed for regional urban researchers and policymakers to exchange views on challenges, identify opportunities, and exchange experiences and practices associated with rapid urbanization. I am happy that the research arising from the proceedings and discussions of the workshops has been captured in the rich and diverse discourse in this book on Southeast Asian cities. This will extend the influence of the ideas and best practices far beyond the workshops and summit.